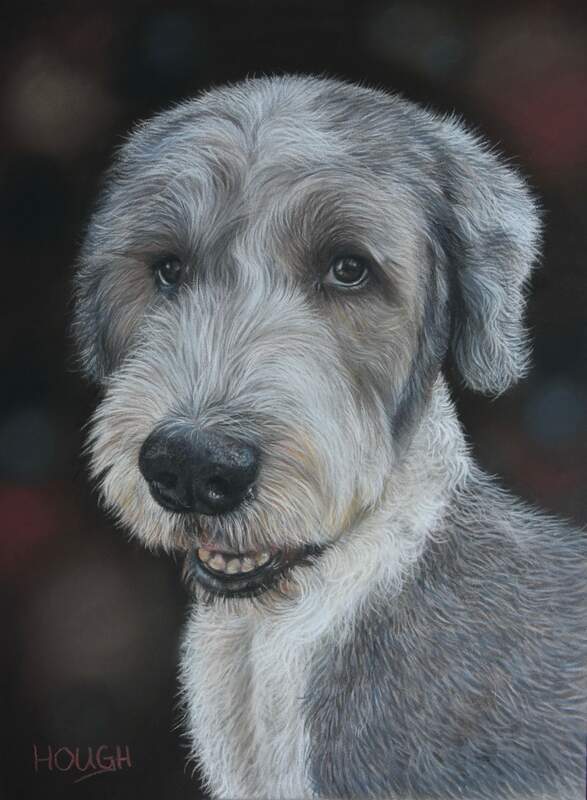 Why get a portrait painted of your pet? 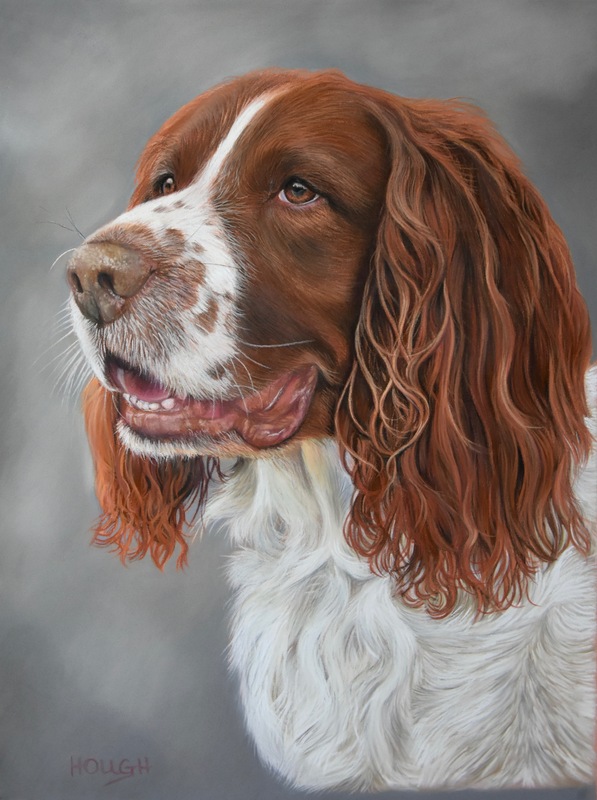 Portraits are a brilliant way to capture, remember or commemorate your pet in a way that is completely bespoke to you - just as we are all different - the portrait cannot be exactly reproduced again. 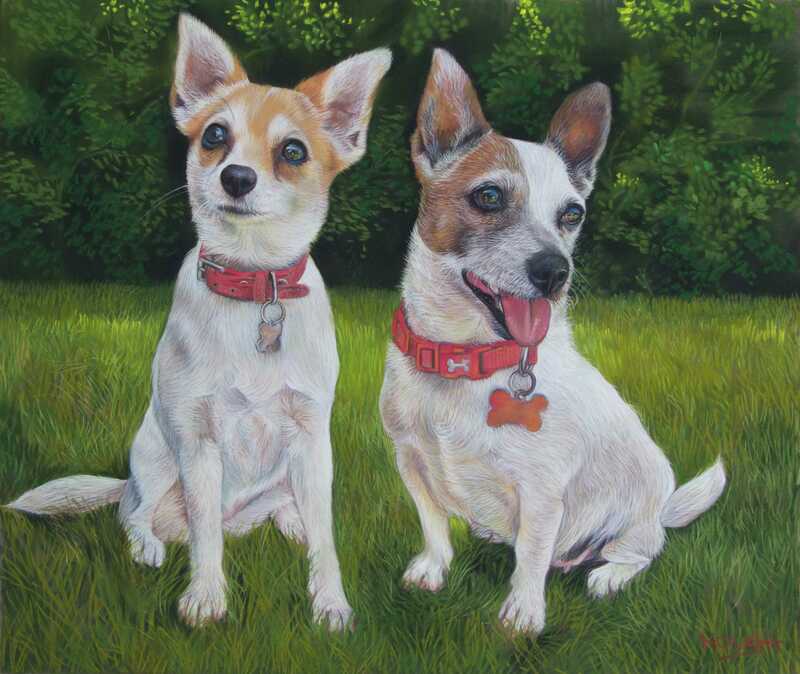 Pet portraits are an ideal gift for an animal lover and one which will be treasured for years to come by yourself and your relatives. 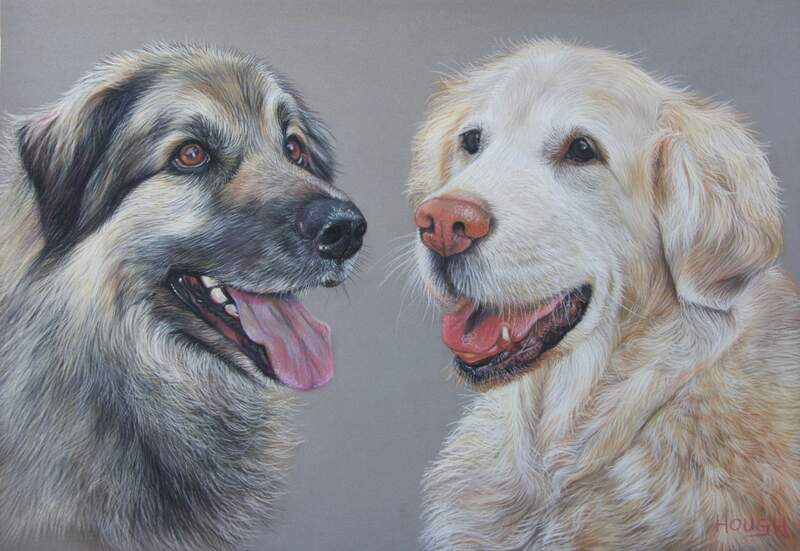 A lot of my commissions are also from groups of people that wish to buy the ideal gift for their colleague or friend. 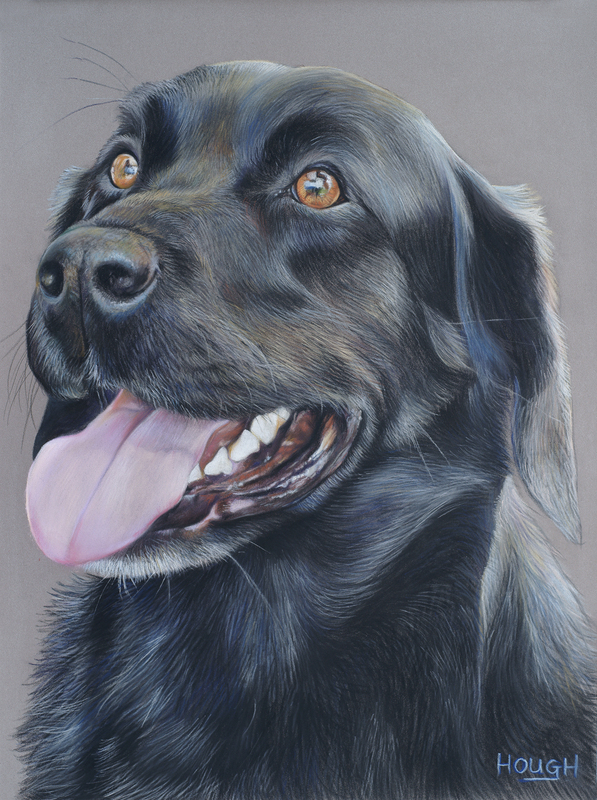 I also offer a pet portrait gift voucher service for that someone who is very "difficult" to buy a present for too! 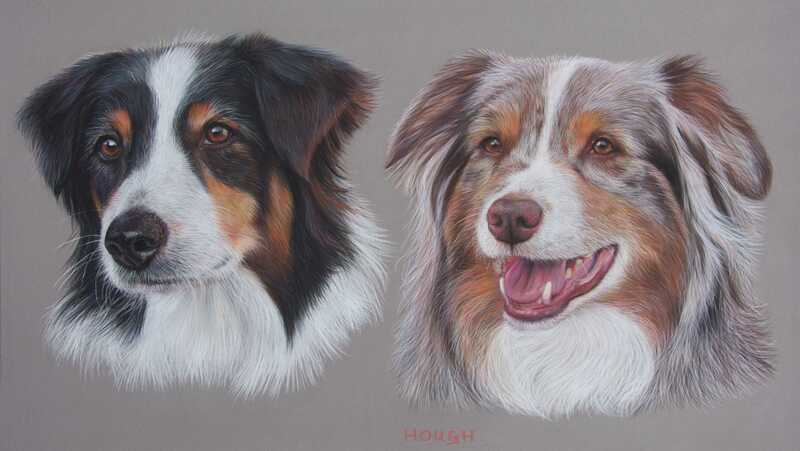 Hours of work go into each of my portraits - on average at least eighteen - sometimes forty of more for the larger sizes. 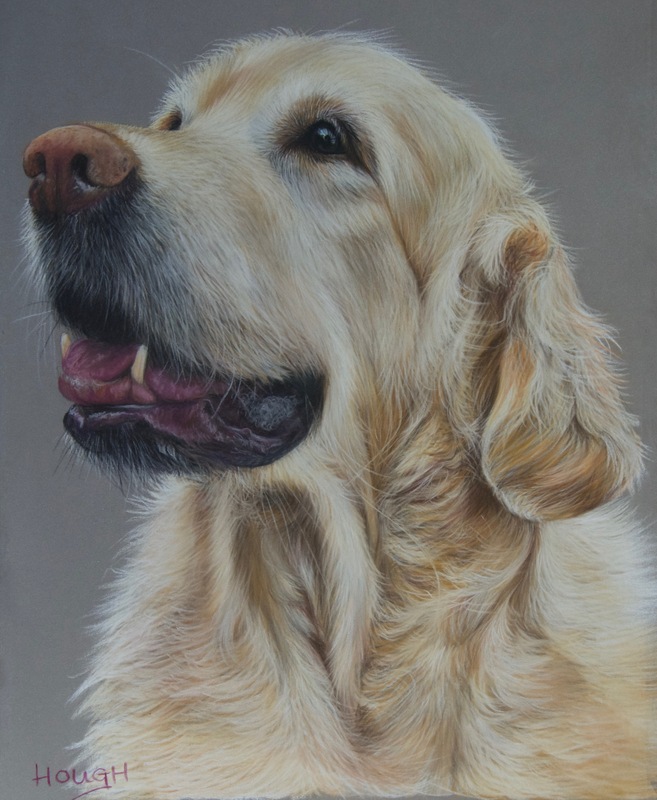 In a way, with a portrait you are getting part of the artist too! 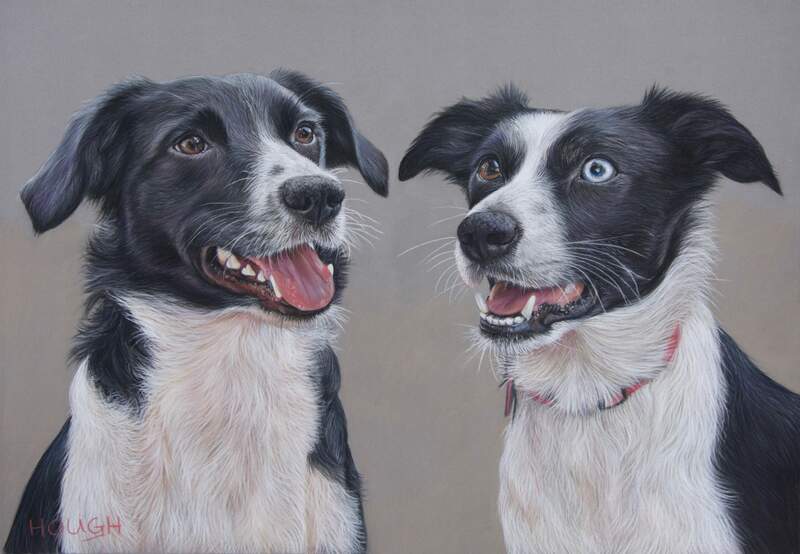 I often get repeat orders from families and individuals who have commissioned me before! 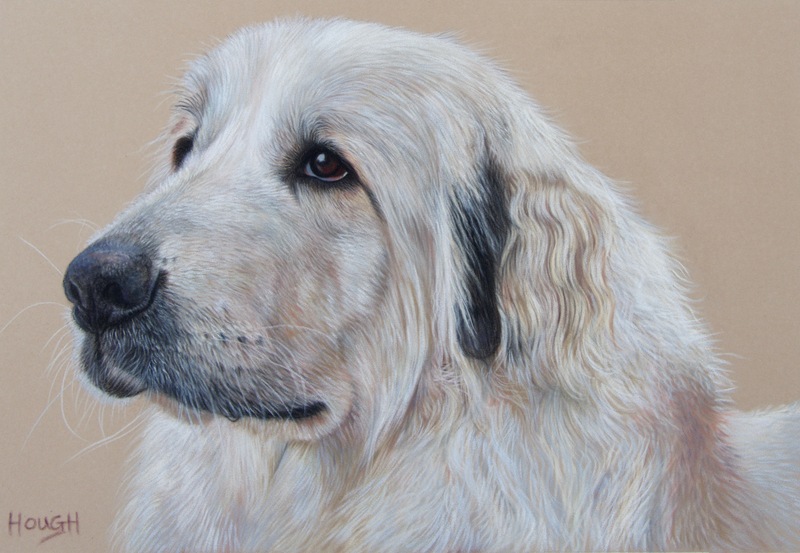 I undertake a lot of portraits of pets who are sadly no longer with their owners and they say that it is almost like "having them back again". 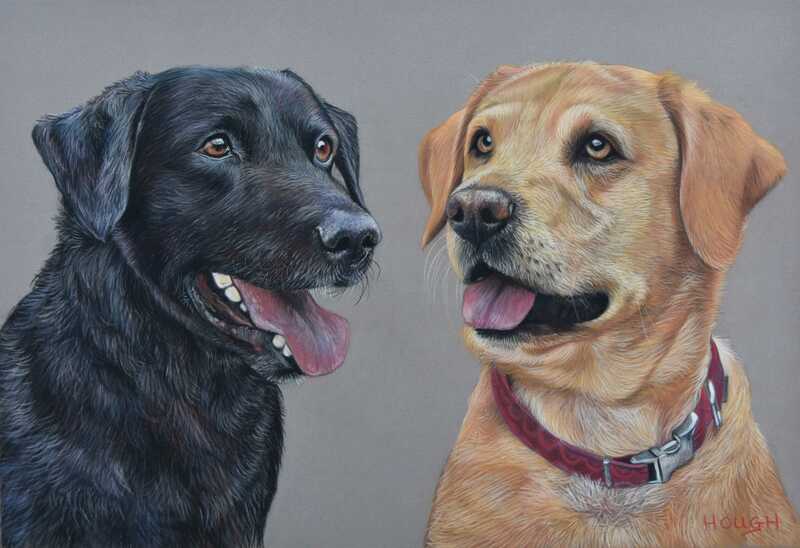 I feel that the essence of each animal is within their eyes - I strive to portray this "essence" within my portraiture - for me, this is the most satisfying part of the process and is the part I most enjoy... Knowing that I have captured them on paper in this way is wonderful. 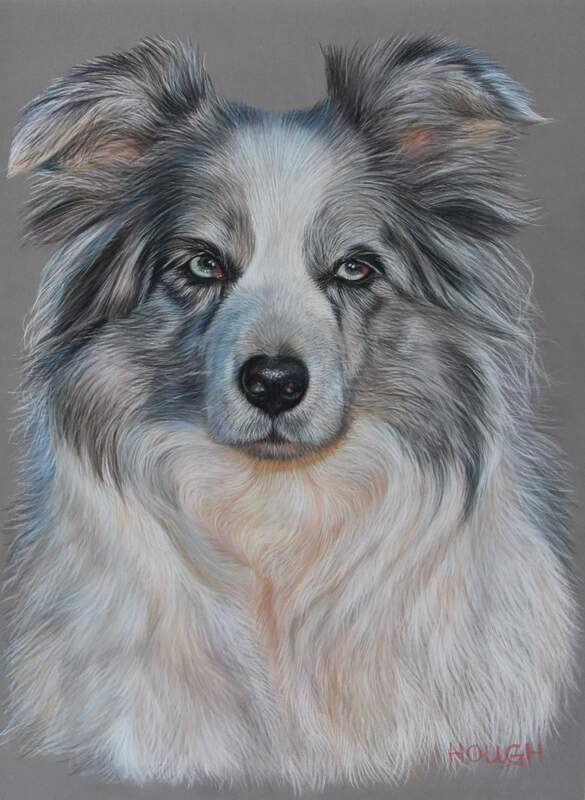 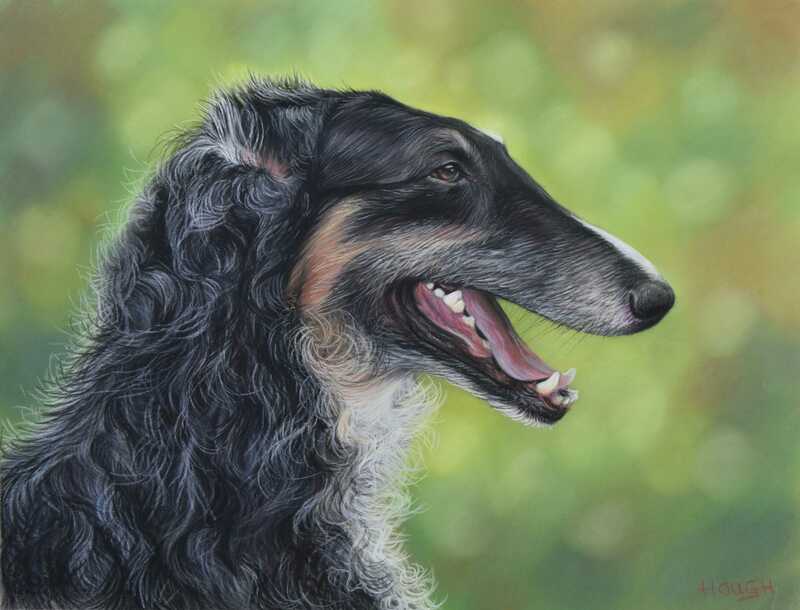 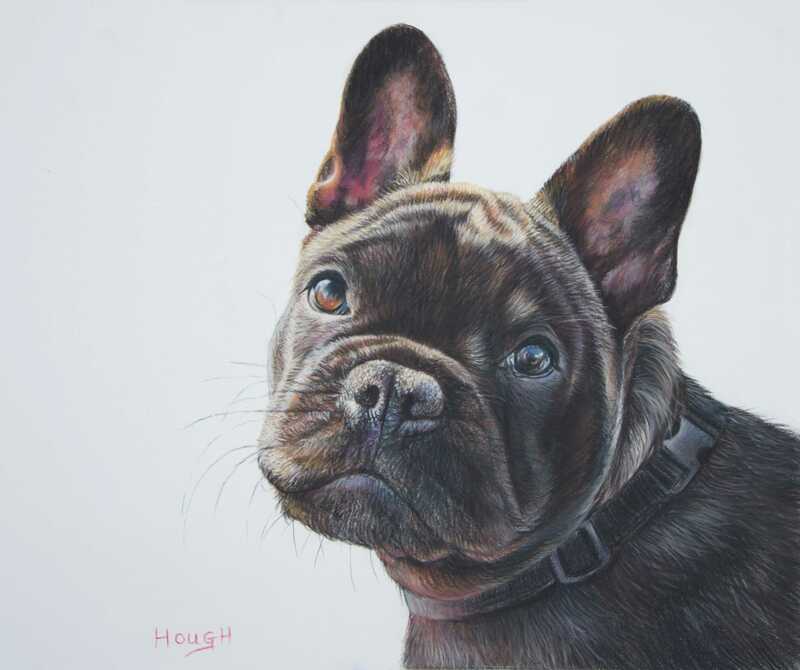 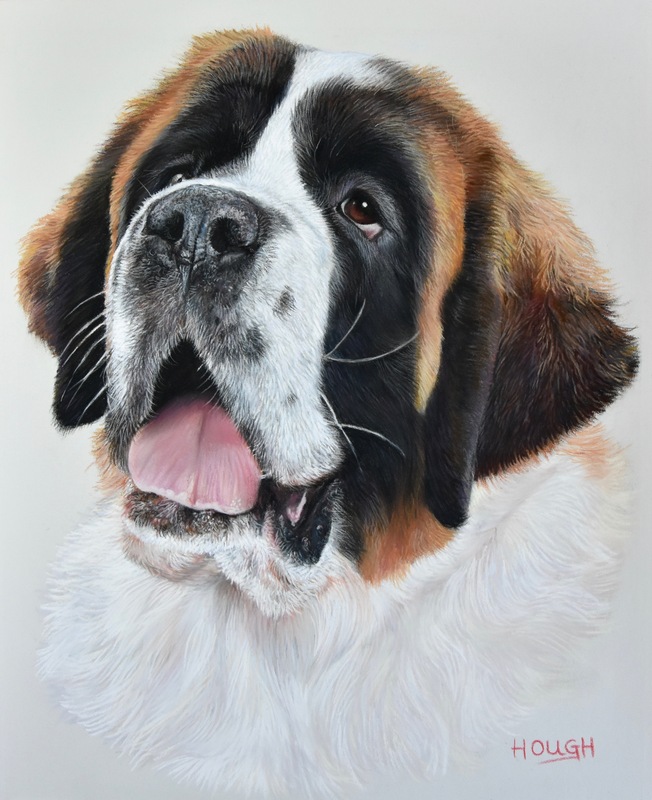 I have a lifetime of painting and drawing experience and I do hope that you enjoy the images on my website - imagine what your pet would look like on one of my pet portraits? 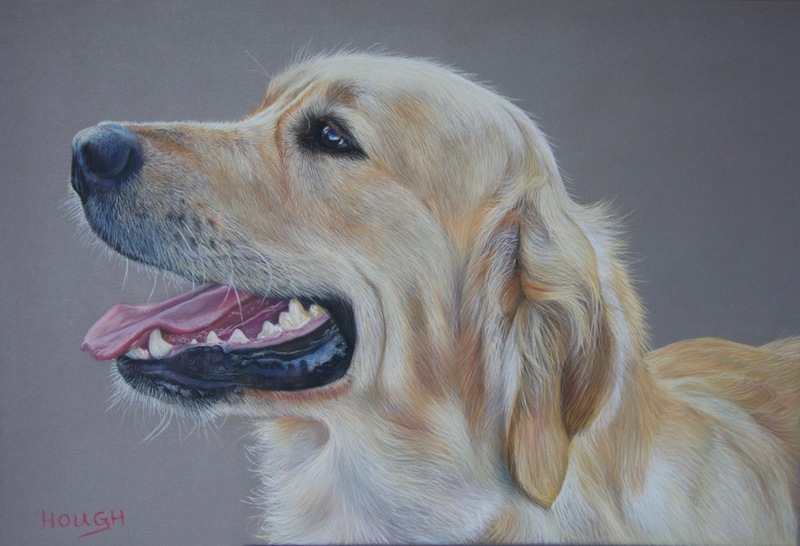 I do undertake portraits of the animal with their owners - please ask if you are interested in this option. 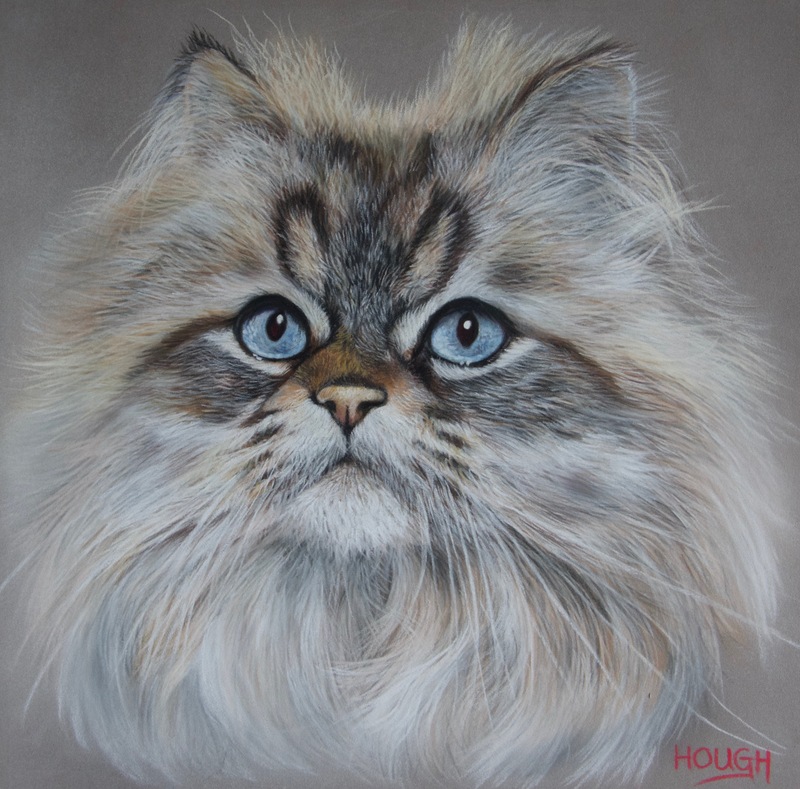 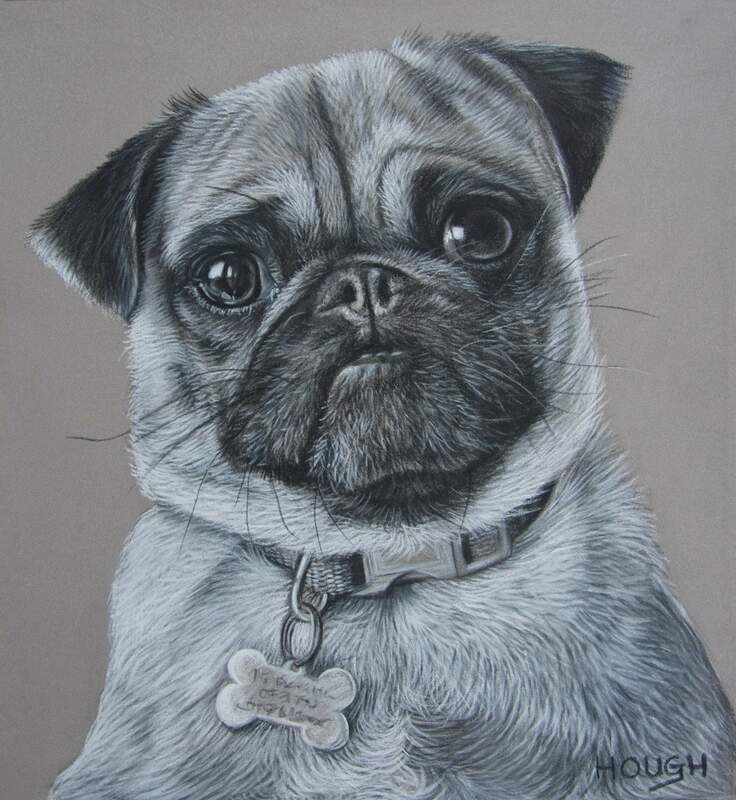 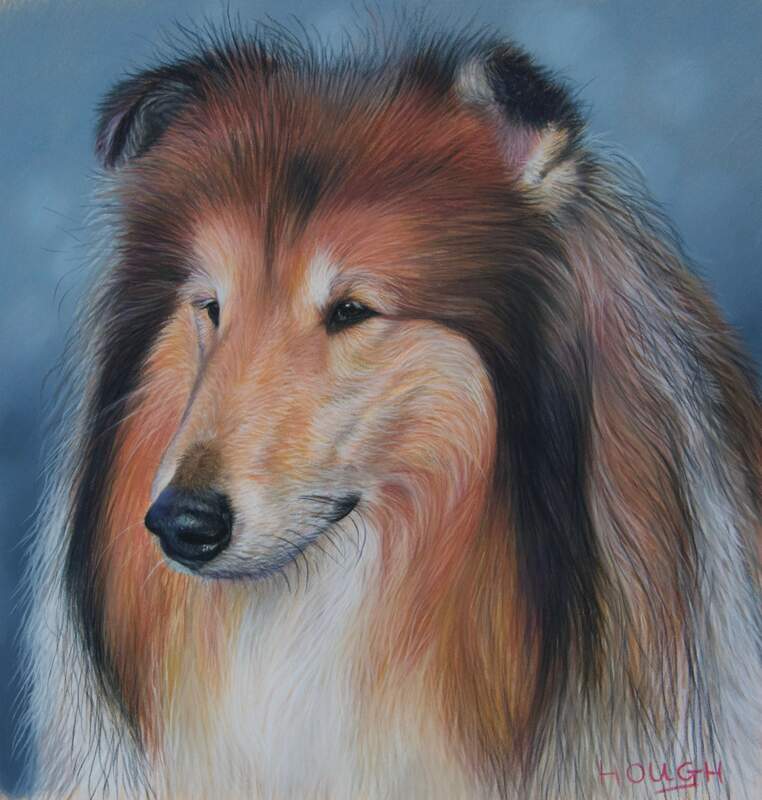 My name is Elizabeth Hough, I am a self-taught artist in fine art media and my commissions are undertaken in predominantly the medium of soft pastels. 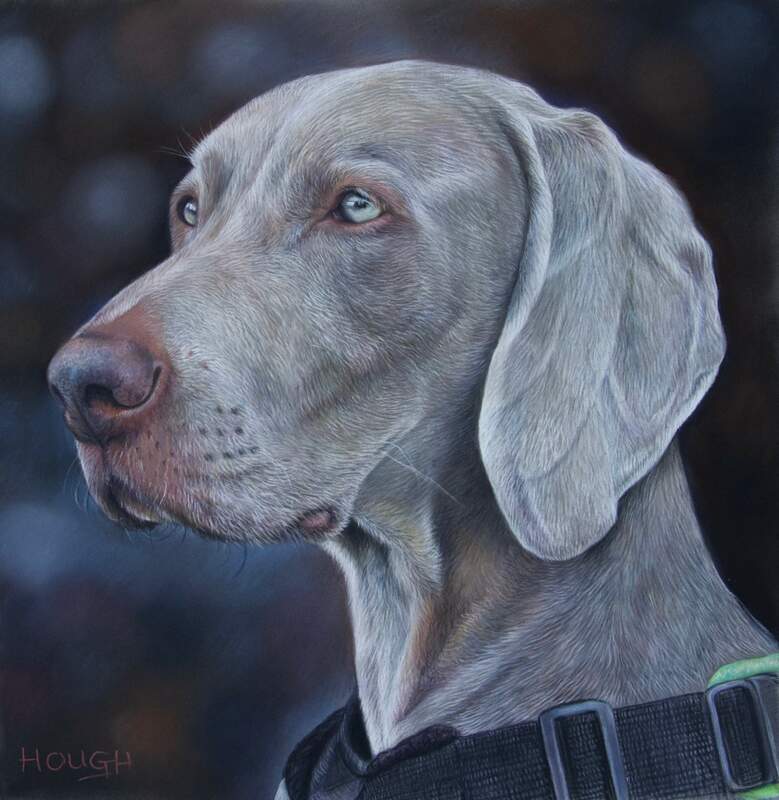 I do undertake pet portraits in other mediums too, upon request: graphite, charcoal, acrylics, pencil crayon and line and wash technique. 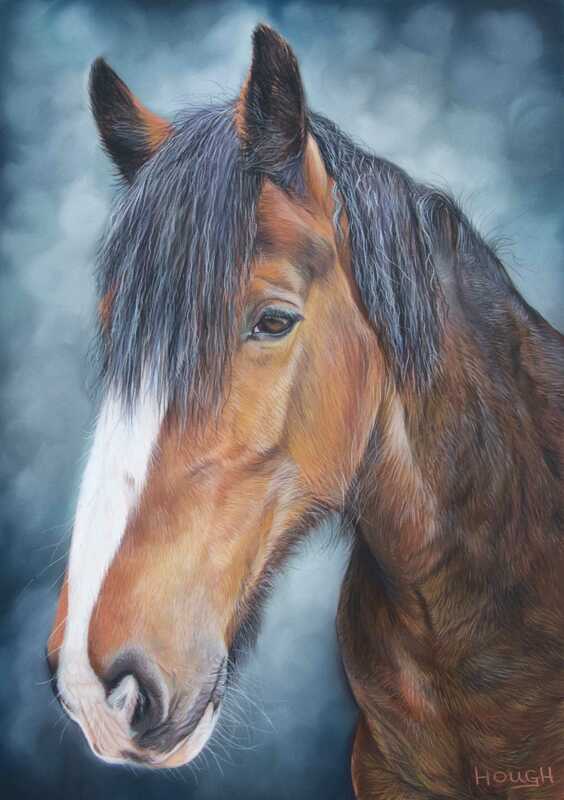 My earliest drawings were from the age of four - my father was very artistic and taught me to draw horses! 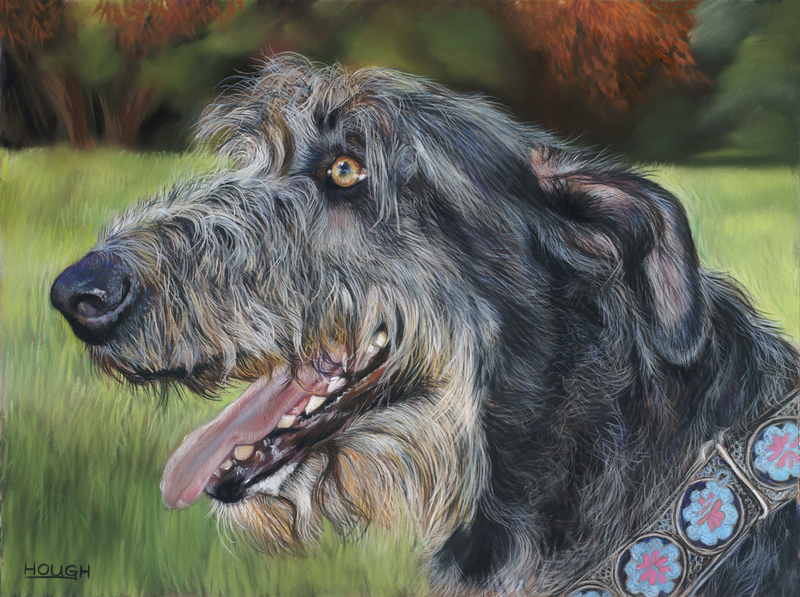 After a very enjoyable time studying art at school, I trained to be a graphic designer. 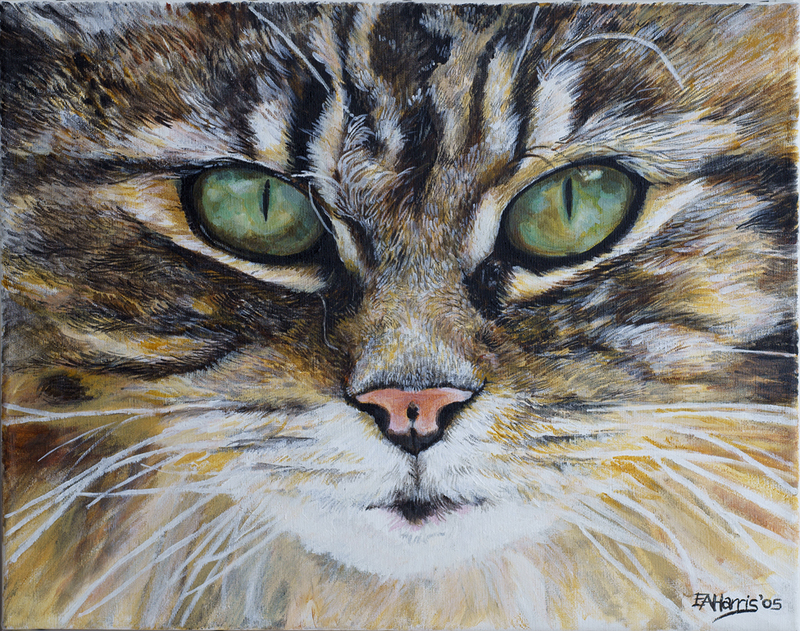 I am a trained nurse also and a mother of two girls, but decided to once again pursue my artistic side - this is why I am now here advertising on my first web-site! 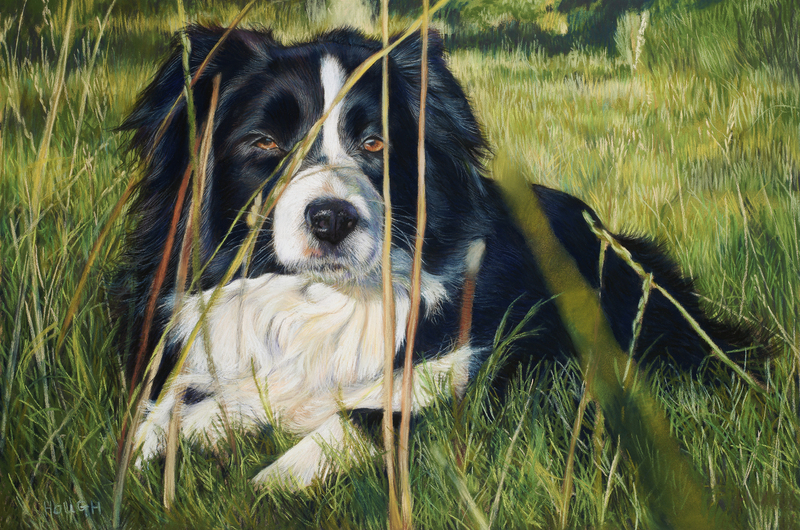 I have always had dogs and cats in the past, now I have one border collie called Alfie in my life! 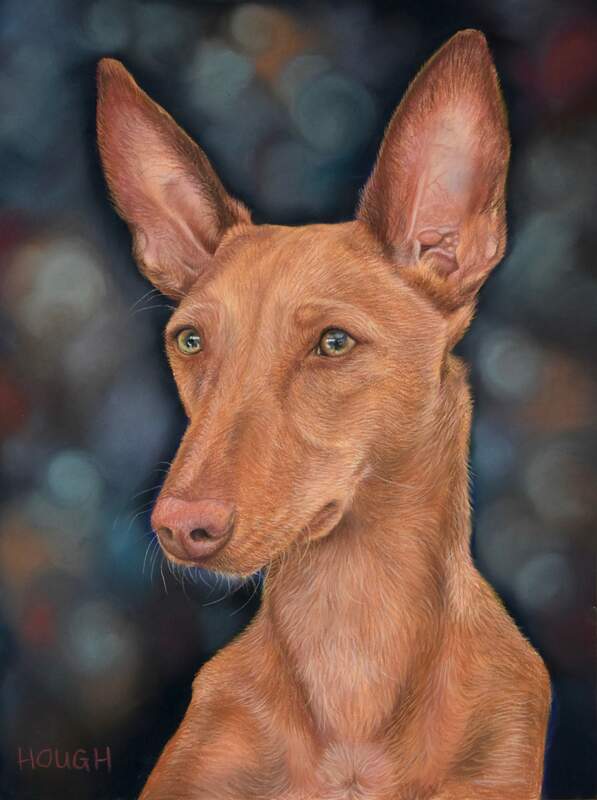 I combine my love of animals with my love of painting to produce one-off high quality portraits of your pet. 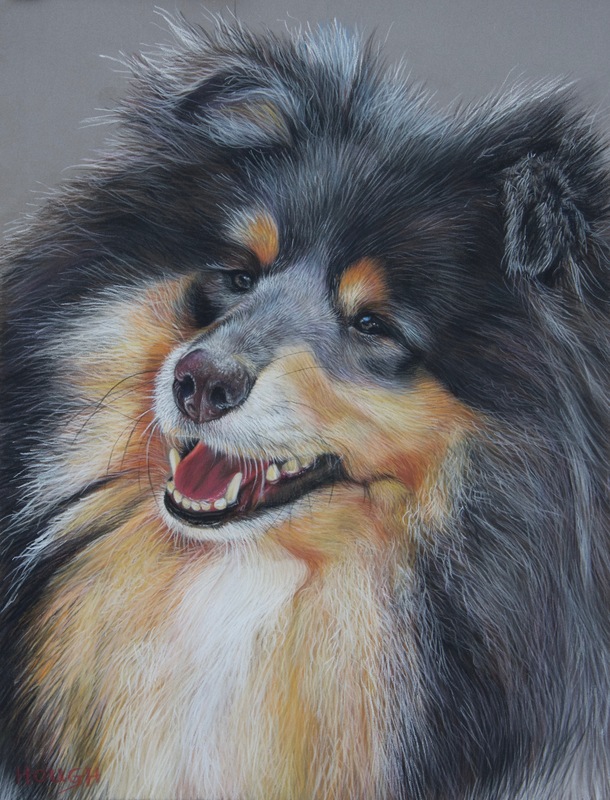 I work very closely with my clients to achieve the best results. 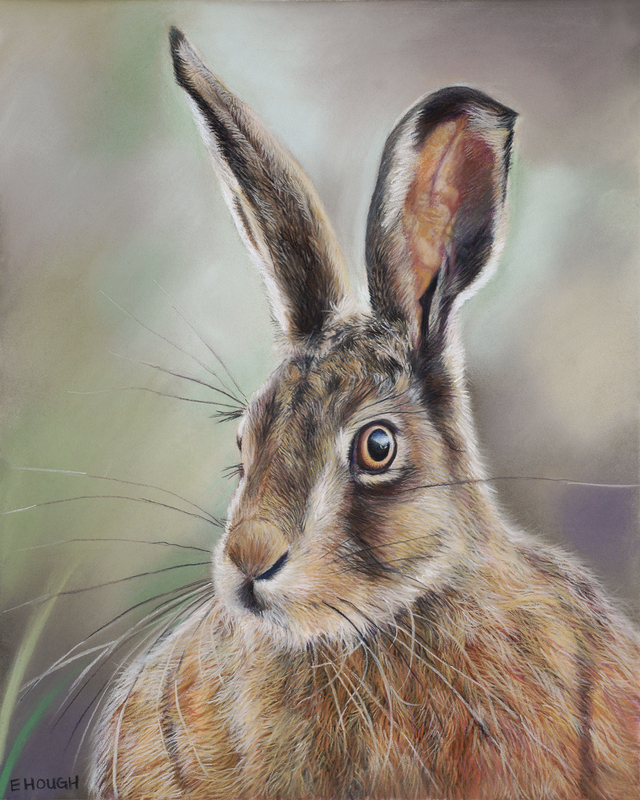 I also visit art societies to demonstrate my style of artwork to them and teach about animals in pastel at whole day's workshops upon request. 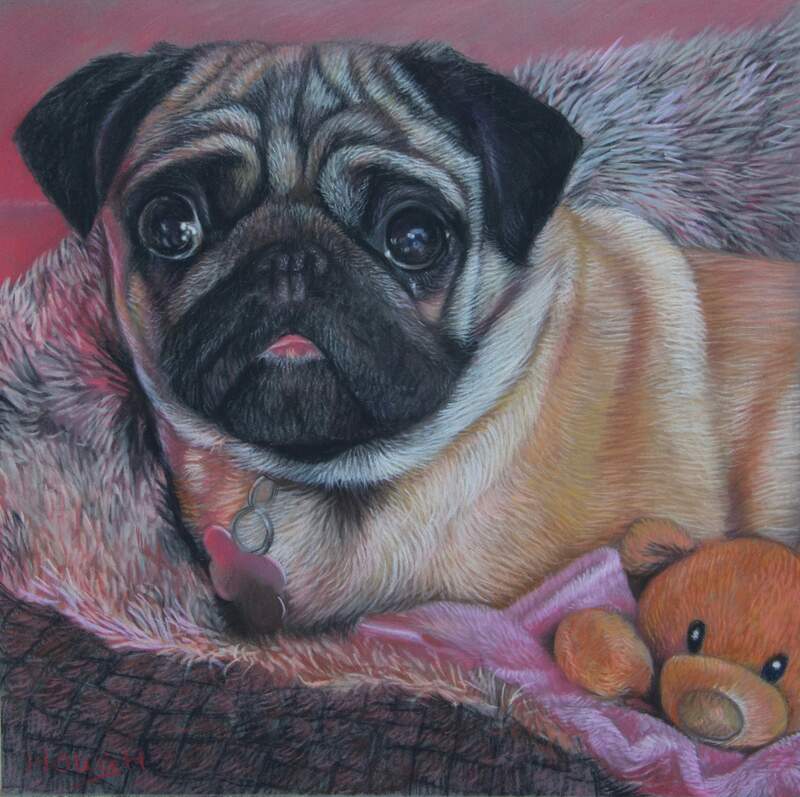 I regularly e-mail pet portrait updates to you of your commissioned artwork and get your valuable feedback at the "outset" of the artwork. 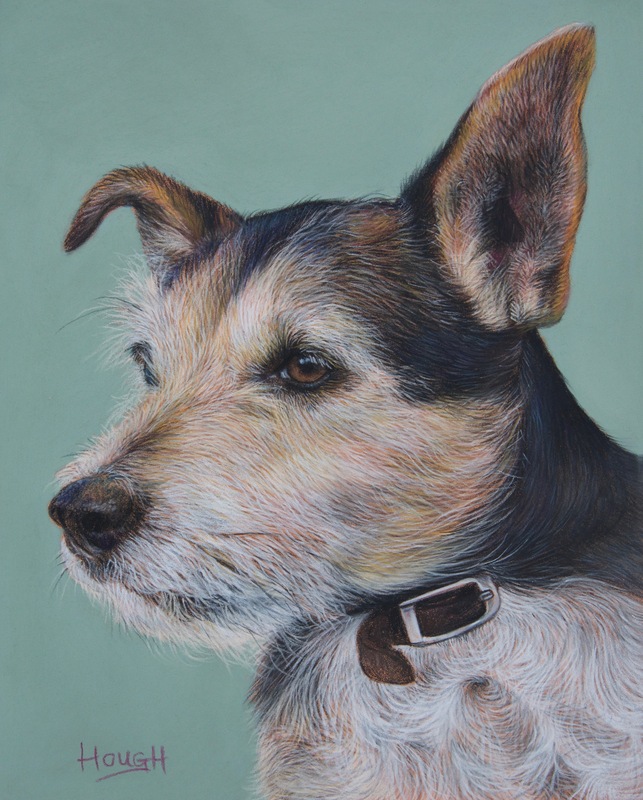 I have a range of sizes ranging from 10 x 8 inches to 20 x 30 inches - although tailored or larger sizes are available upon request, please ask for more details! 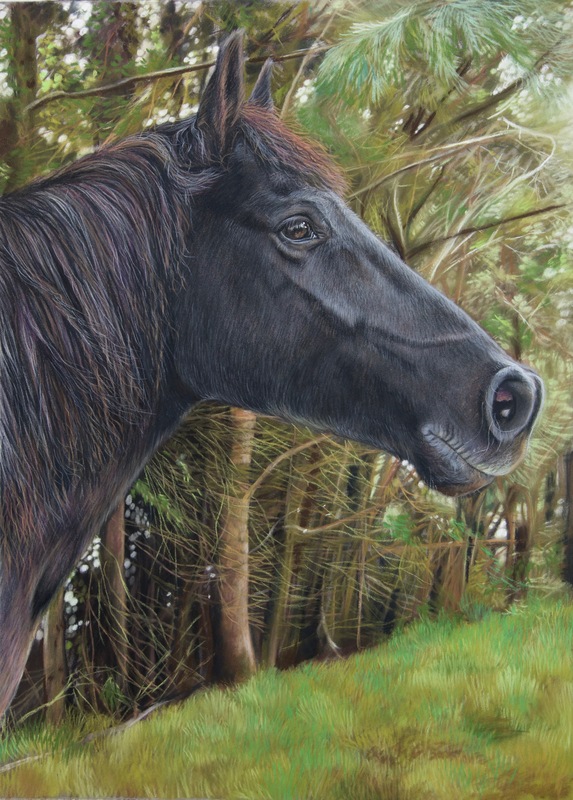 I sell prints of some of my work and sometimes originals, please look at my store page on the site. 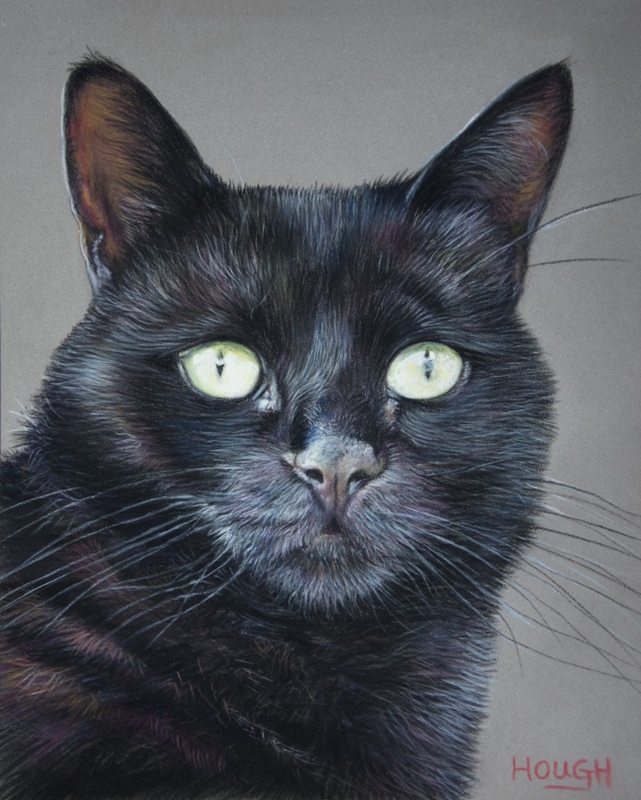 I can offer a greetings card service also - why not have some greetings cards of your pet's portrait as well? 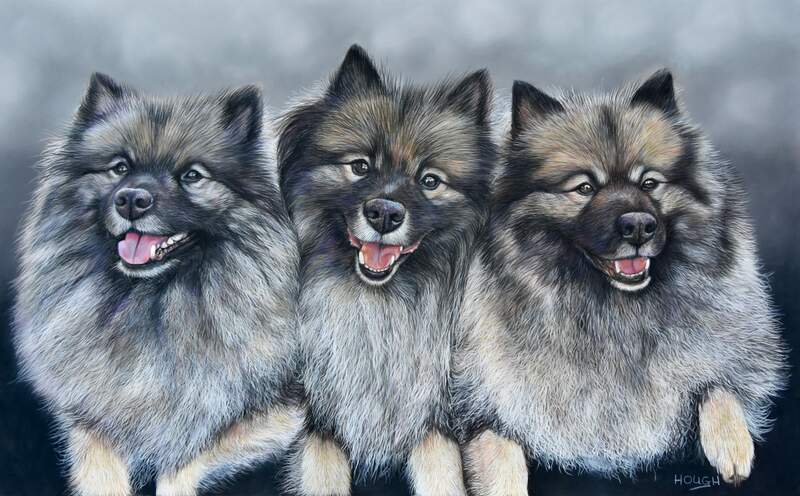 They make the perfect addition to the portrait. 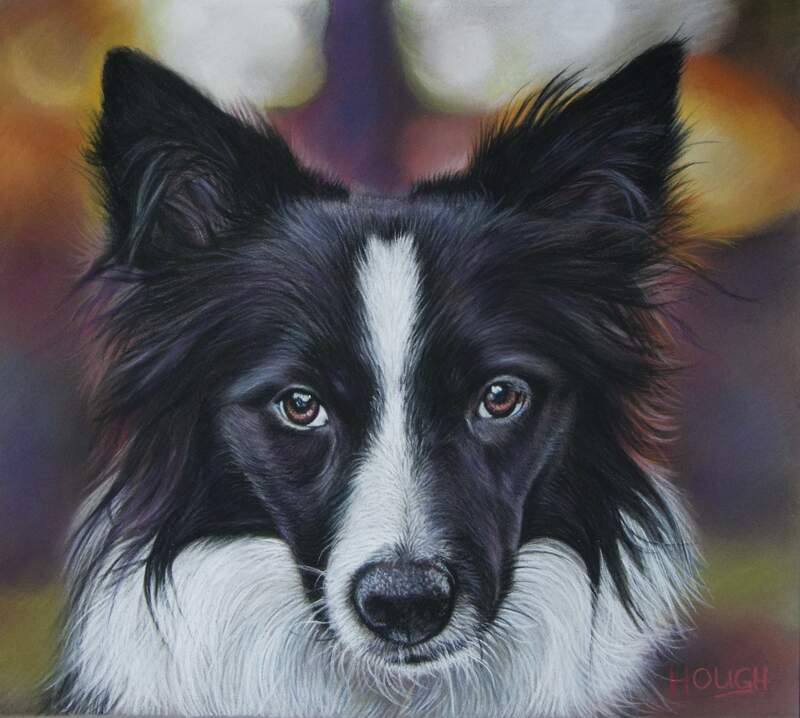 If you require prints of your completed pet portrait - I can also offer this service - they are museum quality giclee prints which are mounted on acid free mountboard/card and wrapped in clear polypropylene for added protection.